Buick sales in the United States totaled 18,207 vehicles in March, an 11.3% year-over-year decrease from sales in March 2015. Retail sales totaled 15,772 vehicles, a year-over-year decline of 5.6%. Still, despite an off month, Buick sales are up 7.5% in the first quarter, totaling 54,287 vehicles delivered. Retail sales are up 9%, good for the brand’s best Q1 performance in 12 years. Of particular note was the increase in conquest sales, accounting for 46% of all March Buick sales and marking the best-ever March total in that regard. Buick’s biggest mover in March, surprise surprise, was the Encore. Encore sales totaled 6,426 units in March, up 13.7% year-over-year and good for the 27th consecutive month of year-over-year sales growth. The same 27-month streak applies to retail deliveries, which were up 28% last month and accounted for 33.3% of all Buick deliveries at retail. Through three months, Encore sales total 17,219 units, up 22.7% from 14,036 vehicles sold in the first quarter of 2015. Buick recently revealed the refreshed 2017 Encore at the New York International Auto Show. 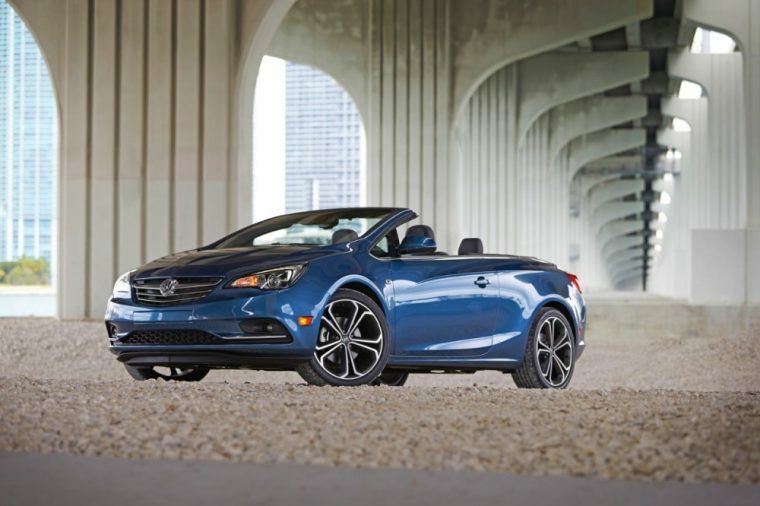 In its first full month on the market, the Buick Cascada moved 814 units, exceeding company expectations. With sales having started in February, Cascada sales total 1,397 units thus far. Buick Enclave sales totaled 5,116 units in March (down 10% year-over-year), bringing its quarterly total to 12,934 vehicles sold (up 1% from Q1 2015). Sales of the Verano, LaCrosse, and Regal were all down double digits in March, but sales of the Regal are nonetheless up 26.4% through the first three months of the year. LaCrosse sales are down 12%, and Verano sales are down 9.4%.